If Mommy pay a close attention... every time the vacation is over, your Little One is almost always lying sick. Usually, there are two diseases that often appear after the holiday season ends, namely diarrhea and runny nose. It is suspected that the causes of their occurrence include fatigue, a tight schedule, and a poorly maintained food. Diarrhea is the body's mechanism for removing germs or toxins. Diarrhea is a condition characterized by the release of feces with liquid consistency more than three times a day. Generally, diarrhea occurs as a result of eating contaminated food or drinks. Symptoms of diarrhea can also include fever, nausea, vomiting, bloating, and abdominal pain. Diarrhea in your Little One is most often caused by a viral infection, namely rotavirus. In addition to viruses, diarrhea can also be caused by bacteria such as Salmonella and parasites such as Giardia. Not only because of infection, diarrhea can also be caused by the use of drugs, such as long-term antibiotics. This treatment can interfere with the balance of good bacteria in the intestine, thus triggering diarrhea. Various studies revealed that the administration of probiotics (good bacteria such as Bifidobacterium longum BB536 and Bifidobacterium breve M-16 V which are fortified into milk) can help cure diarrhea. The independent home care that Mommy can do when your Little One is having diarrhea is to make sure that your Little One gets enough fluids. If necessary, also provide replacement fluids such as ORS (Oral Rehydration Salt). Eating bananas also helps relieve diarrhea. Beware of symptoms of dehydration such as weakness, drowsiness, dry and sunken eyes, dry mouth and skin, and a small volume of urine. If your Little One experiences these symptoms, immediately see a doctor for further treatment. An imperfect immune system makes your Little One vulnerable to have a cold. Just imagine, in the preschooler, the cold can be experienced nine times a year. Meanwhile, for the Little One who is in kindergarten, they can generally get a cold up to twelve times a year. 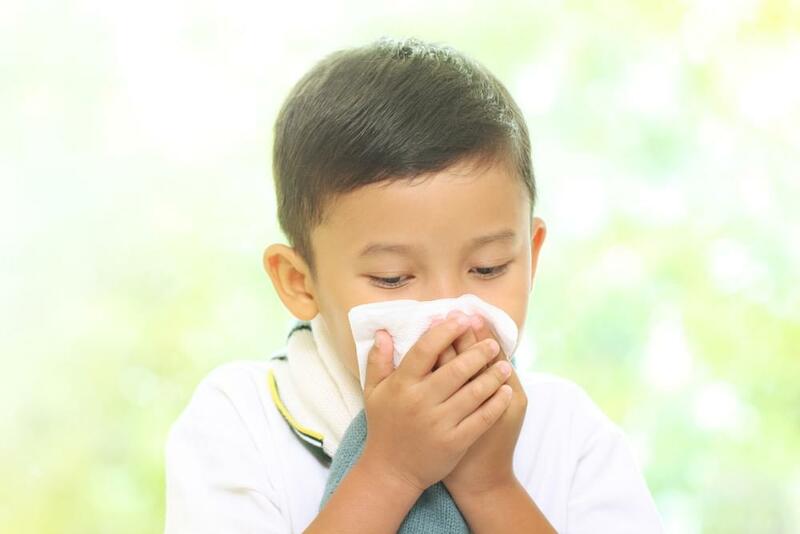 A cold can be caused by more than 200 different types of viruses, but the most common cause is rhinovirus. Cold is not a dangerous disease, except for the newborn Little Ones. There is no need for special treatment to cure it because the cold will disappear on its own in 4-10 days. A cold is not only a disease with symptoms of cough and runny nose but can also be a sore throat, fever, weakness, vomiting, and diarrhea. So that the Little One is not easily infected with this disease, apply healthy habits at home, namely make it a habit to always wash your hands before eating, after traveling, after using the toilet, and playing. This must be applied by all family members. Also, please do remember, Your Little One must be taught to always cover his/her nose and mouth when sneezing or coughing. Use disposable wipes or inner elbows. After that, your Little One must throw away the tissue and wash his/her hands. An easy way to keep your Little One from falling ill is to give him/her a well-balanced balanced diet and adequate sleep. Support the body's immune system by consuming nutrients that contain nucleotides and lactoferrin which will protect your Little One from various infections such as a cold. How do these two nutrients maintain the health of your Little One? Meanwhile, lactoferrin is a type of protein that binds to iron. Lactoferrin has various functions including as an antimicrobial, as a regulator of iron absorption in the intestine, and a regulator of the body's immune system. Lactoferrin works on white blood cells to provide immunity. With a maximum immune system, your Little One will not be infected more severely from viruses and bacteria in the digestive tract and respiratory tract. Your Little One will be prevented from having cough, cold, and ARI (Acute Respiratory Infection). Maintaining a good oral health is very important and need to begin from the early age. Make sure that your children brush their teeth twice a day, and a regular check-up to the dentist to make sure the health of their teeth and decay-free. However, most children are afraid to go to the dentist.